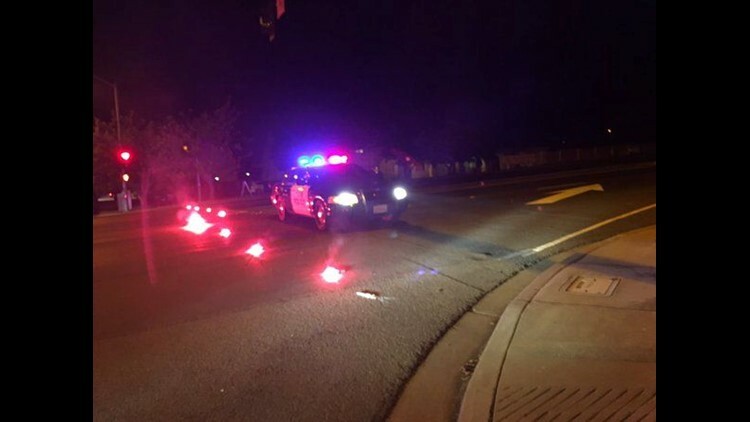 ESCONDIDO (CNS) - A pedestrian in Escondido was struck and killed by an 86-year-old motorist, a police lieutenant said Sunday. The motorist stayed at the scene and alcohol does not appear to be a factor in the crash, said Escondido police Lt. Mike Kearney. It was not immediately known whether the woman was cited or arrested. The motorist, driving a gold 2008 Toyota Corolla, struck the pedestrian, an 18-year-old man, while going northbound on San Pasquel Valley Road, south of Oakhill Drive, Kearney said. Police dispatched to the scene at 8:50 pm. Saturday attempted life saving measures to the pedestrian, who was suffering from major injuries to the head. However, the 18-year-old man was pronounced dead at the scene, he said. Escondido police asked anyone with any information regarding the crash to call them at (760) 743-8477.